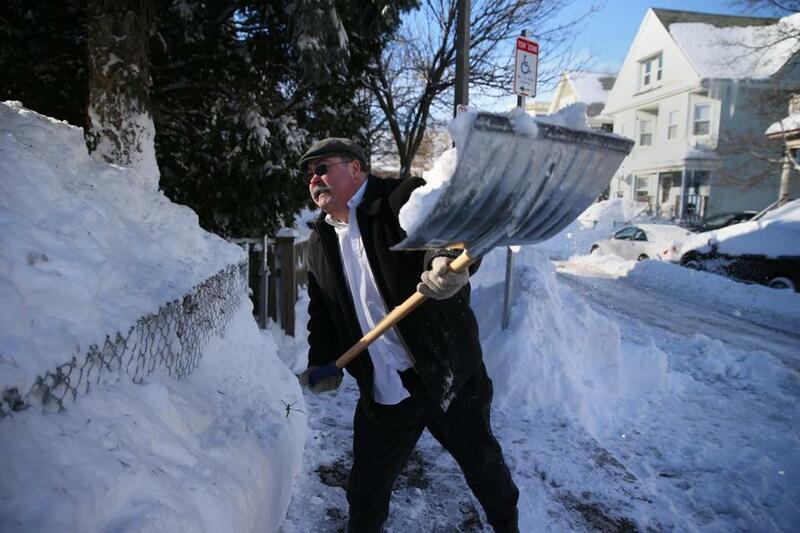 Leslie Simpson shoveled snow on Hinckley Street in Dorchester. Had enough yet? After being hit by a blizzard last week and another snowstorm Monday, still more snow is headed for the Bay State, the National Weather Service said. Weather on Tuesday will be relatively calm, though bitterly cold temperatures are expected across the state, said Glenn Field, a weather service meteorolgist. Wind gusts up to 35 miles per hour could make subzero temperatures feel like minus 17 in parts of Western Massachusetts, Field said. More snow may hit the region as soon as Wednesday, forecasters said. Northwestern Massachusetts may see up to a half-inch accumulation in time for the Wednesday morning commute. There could be a light coating of snow in Boston, starting at 10 a.m., just in time for the Patriots victory parade scheduled to begin at 11 a.m., said Kim Buttrick, a weather service meteorologist. It is not expected to be more than a few flurries, though, she said. 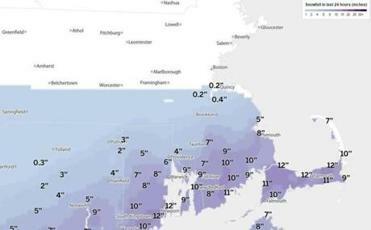 Map: Snow totals in Mass. How much snow has fallen in your area? See a map of snowfall totals. Forecasters said temperatures should warm to the mid-20s by the time of the parade, with wind chill values in the teens. Another snowstorm is expected to hit the state Thursday, bringing up to 6 inches to the region, Buttrick said. 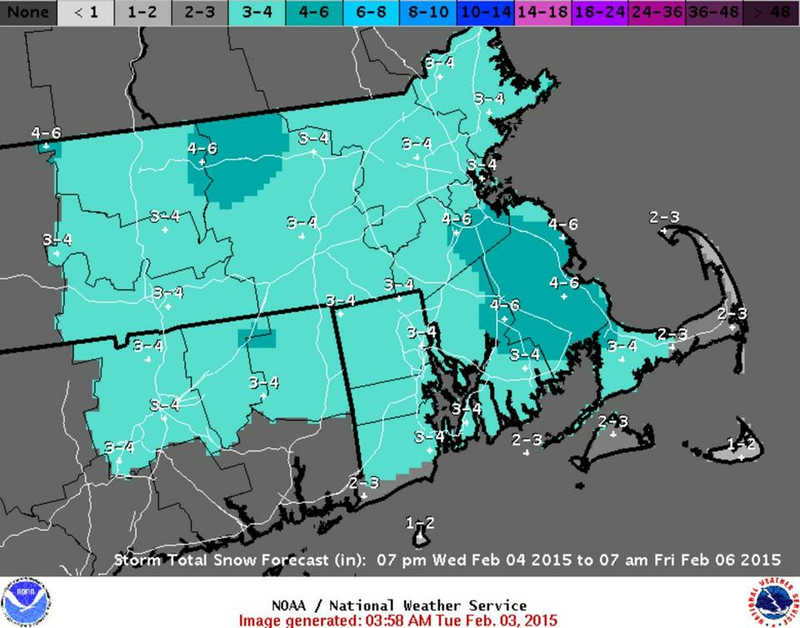 Boston could get 3 to 4 inches, while the Cape will see less than 3 inches, forecasters said. Thursday night will be cold, with temperatures plummeting to zero in Boston and reaching minus 6 in Western Massachusetts, forecasters said. The cold will continue into Friday, where temperatures will crest in the teens. Temperatures on Saturday should warm almost to 30 degrees, only to drop back into the 20s Sunday, forecasters said. There is a chance for another snowstorm Sunday night into Monday. Field said “the jury is out” on how much snow to expect. It is too soon to tell, he said. The Boston area has already received 53.4 inches of snow this winter, which is 10 inches more than the average of a full normal season, Field said. By this time last year, Boston had gotten 33.5 inches.